You may have heard about Ark Encounter, the replica of Noah’s Ark that was built in Kentucky. This was the brainchild of Ken Ham, founder of Answers in Genesis and an Australian creationist, like Ray Comfort. So they believe the platypus was intelligently designed? Was the creator drunk at the time? At least we know echidnas were in Genesis. According to AiG co-founder Mike Zovath, the purpose of the attraction is to “lend credence to the biblical account of a catastrophic flood and to dispel doubts that Noah could have fit two of every kind of animal onto a 500-foot-long ark.” Since it doesn’t float and isn’t filled with animals, I’m not sure how it’s supposed to accomplish this. Not that this necessarily matters for a tourist attraction; I don’t think you’re allowed to sit in the world’s biggest chair either. But when they’re trying to sell this as educational, that’s a different story. Somewhat famously, Bill Nye, who had earlier debated Ham at the Creation Museum, was invited to check out the Ark, which he referred to as “troubling” and “absolutely wrong.” Among other things, it perpetuates the idea that dinosaurs lived alongside humans. Remember when the creationist argument was that dinosaur bones were put in the Earth by Satan to confuse people? I’m largely convinced that they had to change this simply because kids thought dinosaurs were cool, and maybe due to the influence of The Flintstones. As far as I know, though, even creationists are skeptical of a car that runs on foot power. PICTURED: The crane used in the construction of the original Ark. The AiG explanation is that dinosaurs went extinct because people hunted them and the Flood changed the environment. Obviously a worldwide flood WOULD make a lot of changes, but it apparently had no effect on olive trees, which could grow just fine a year later. And the Ark Encounter page itself says, “The Bible states that Noah’s cargo was limited to land-dwelling animals in which was the breath of life (Genesis 7:15). This clearly excludes fish and other sea creatures, and it probably excludes the insects and other invertebrates.” So the fish didn’t die out due to the mixing of salt and fresh water? I guess the flood was only globally devastating when it fits the narrative. The website is awkward to navigate and doesn’t have all that much information, presumably so you’ll have a reason to go there and pay the forty-dollar admission fee. Isn’t that a little steep? Would the guy who drove the money changers out of the Temple really approve? What IS there includes the typical creationist argument that Noah didn’t take two of each species on the Ark, but merely two of each “kind.” I believe this term comes from the Hebrew min, and it’s convenient because it can mean pretty much whatever someone wants it to mean. Frank Lewis Marsh, who coined the term baramin (basically meaning “created kind”) in 1941, decided that the “kinds” were directly created by God, and only members of the same kind could reproduce. The Ark Encounter site basically agrees, saying that it “probably most closely corresponds to the family level in current taxonomy.” So the argument is more or less that every single species in these families is descended from between two and six individuals 4500 years ago, which seems unlikely. Young Earth Creationists are subtracting another 1500 years from the mere 6000 that they think it took for all modern species to exist. 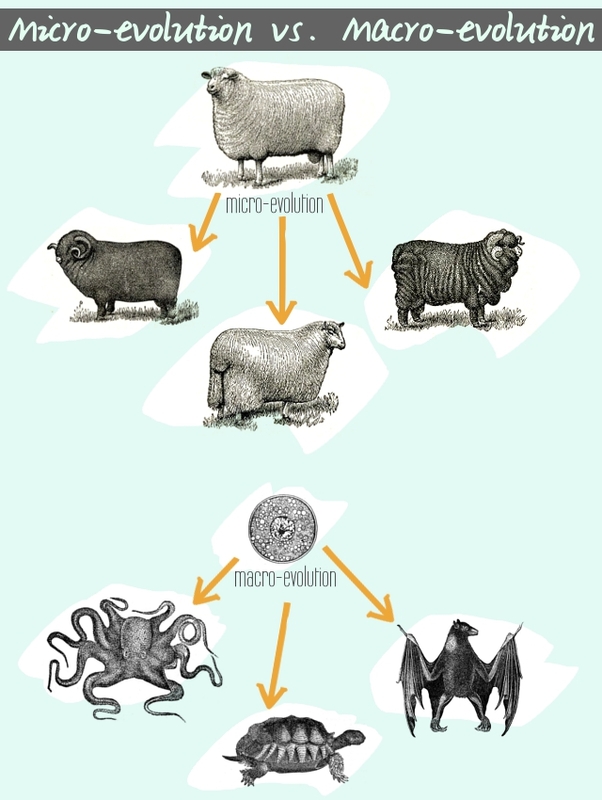 Also, isn’t this evolution? The general answer to this seems to be that micro-evolution within these ill-defined kinds can be real, but macro-evolution can’t. It’s not a distinction recognized in actual science, and I really can’t think of any reason why evolution could happen to a certain extent but no further. Is there any real reason for it beyond being an excuse for how Noah could have taken fewer animals on the Ark than in the popular conception? Oh, and humans are in the same family as the great apes, so maybe chimpanzees were the descendants of one of Noah’s sons. I suppose that’s why the site puts the “probably” in there. Another argument found at the website is that the Bible story is the only TRUE account of the Flood. Other flood myths are based on the same occurrence, but add ridiculous details. This is never a particularly safe road to go down, as you’re basically opening up your own myth to the same scrutiny you’re giving to others. Utnapishtim’s boat in the Epic of Gilgamesh is described as cube-shaped (according to most translations, anyway), which AiG insists would have made it “deadly for its occupants in rough seas.” I don’t know where they got that information, and don’t know anything in particular about seaworthiness, so I can’t confirm this. Isn’t all it really needed to do float, though? I’m not sure why a cube couldn’t do this. It wasn’t actually sailing anywhere. Another point against it by AiG is that “fickle gods destroy mankind but later give immortality to another.” Doesn’t this actually make more sense from a narrative perspective? In Genesis, we have one god deciding to wipe out humanity, then giving one particular family complicated instructions in order to survive, then promising never to flood the world again because humans can’t help doing bad things. He’s also presumably all-powerful, which makes this sequence of events even more convoluted considering that he could just kill the people he didn’t like without bothering with the flood. Utnapishtim’s account gives us multiple gods arguing amongst themselves, and Ea exploiting a loophole to save one family, hence no need for the constant backpedaling Yahweh seems to do. 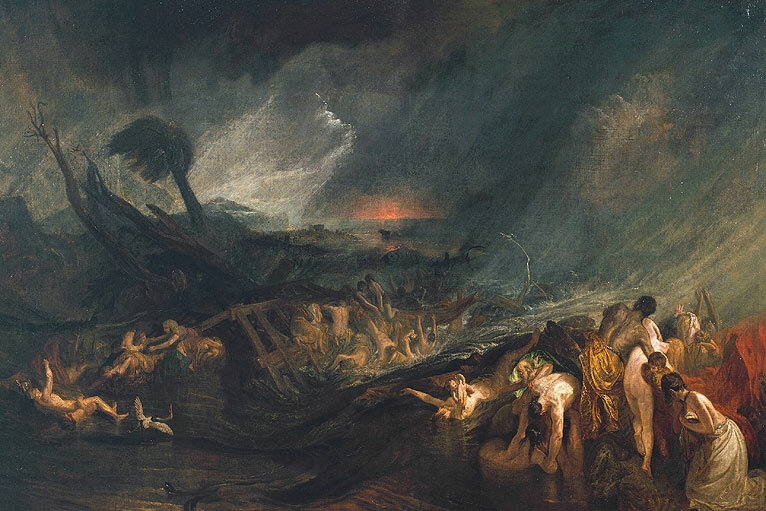 Similarly, in the Greek Deucalion myth, it’s Zeus who causes the flood, and Prometheus who warns the survivors. Prometheus is well-established in mythology as an advocate for humanity against the wishes of Zeus, and he’s Deucalion’s father as well. AiG also tells us, “The language of Genesis 6–9 is descriptive and matter-of-fact in stating the details about ancient cultures, and it freely acknowledges the shortcomings of its “heroes.” Such honesty and attention to detail is highly unusual in ancient mythology, but appropriate for true history.” So the duller a narrative is, the more likely it is to be true? Herodotus is considered the Father of History, and he wrote a lot of stuff that wasn’t true. That was pretty typical for history up to a certain point, and sometimes is still the case in modern histories. Details add verisimilitude to a story, but obviously people can invent or change them over time. And don’t most myths acknowledge the shortcomings of their heroes? You know, tragic flaws and all that? Noah is hardly unique in that respect. Not to mention that literary criticism and historical research are different disciplines entirely. The fact that some aspects of these flood myths COULD be true doesn’t have any particular bearing on whether they ARE. I’m intrigued by the idea that at least some of them were inspired by a particularly catastrophic deluge (although most likely a localized one), but it’s not like people couldn’t just make up stories about floods either. This entry was posted in Babylonian, Christianity, Current Events, Evolution, Fundamentalism, Greek Mythology, Mythology, Religion, Science, Semitic and tagged answers in genesis, ark encounter, bible, bill nye, creationism, deucalion, dinosaurs, ea, epic of gilgamesh, flood, frank lewis marsh, genesis, herodotus, ken ham, kinds, mike zovath, noah, noah's ark, prometheus, utnapishtim, zeus. Bookmark the permalink. 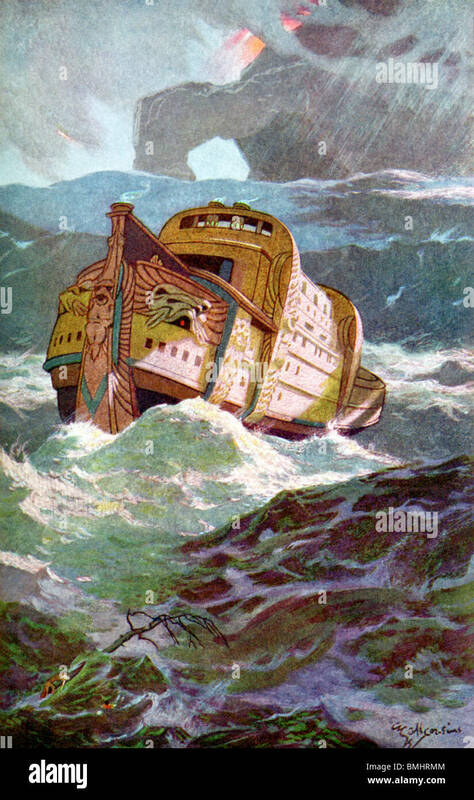 I read that finding financing for the ark park wasn’t easy. I wonder how much repeat business it will need to keep (ahem) afloat.